A major supplier of quality uniforms in Singapore and the region, Bibi & Baba Pte Ltd offer Uniform Design Services. "Lectra" Cad (Computer Aided Design) System, Uniform Production & Supply and a superb Uniform Management Programme. Cacao Barry, a symbol of French gastronomy, has accompanied many professionals in the bakery, horeca & pastry industry for more than 160 years. The preferred brand which is supported by the artisans, Cacao Barry selects cocoa beans from all over the world such as Cuba, Saint Domingue, Tanzania, to name a few, to offer the best chocolate to its partners in return. Besides chocolates, Cacao Barry offers a wide range of unique service products like Brilliance Noire, Krem d' Ar�me, MycryoTM Cocoa Butter (gelatine replacer) and Paillet� Feuilletine to meet the needs of craftsmen. Featuring a hard-anodized exterior and nonstick interior, Calphalon Contemporary Nonstick combines durability and performance with fast clean-up and easy low-fat cooking. Designed to fit your style of cooking, living and entertaining, each versatile vessel accommodates several different cooking techniques. Many feature two loop handles, for convenient cooking both on the stovetop and in the oven, as well as beautiful presentation at the table. Contemporary Nonstick long handles stay cool on the stovetop for hours of comfortable cooking. Sparkling glass-and-stainless covers give you a clear view of simmering soups and sauces, too. Founded in 1983, the Community Chest was created to tap on the generosity of individuals, companies and institutions to fund voluntary welfare programmes in Singapore. With Singapore's changing demographics and the harsh social and economic pressures of the modern world, the demand for both structured and voluntary social services has grown exponentially and that is where the Community Chest has stepped in to fill the void. Today, there are over 200 Voluntary Welfare Organisations (VWOs) in Singapore. They have each developed programmes and projects to help a significant number of disadvantaged people in our community. Classic Fine Foods is a subsidiary of the London based company Angliss International, which is owned by the Vestey Group Limited. Through the close partnerships Classic Fine Foods has with its suppliers, and its own purchasing offices, they are able to deliver a range of premium and branded products according to customers' demand. Classic Fine Foods delivers the highest quality of perishable, fresh, dry, frozen and pastry products to the customers' doorsteps and adhere strictly to their service hallmark. All of their staff share the same passion for food and are able to provide quality service and information to their customers. 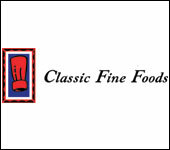 Being one of the 12 franchises, Classic Fine Foods Ltd, founded in January 2001, is a leading distributor of fine food products in Singapore. They also actively support culinary events held in Singapore that involve world-class star chefs. Classic Fine Foods Ltd is the importer and distributor of some top quality brands like Boursin, Pr�sident, Maille, Rougi�, Bonne Maman, Cap Fruit, Caviar House, Balik, Pasta Cocco, Levoni, Aceto Del Duca, Frantoio Portofino, Stockyard Meats, Sunraysia, Tartufalba and many more. Italian Trade Commission (I.C.E., Istituto nazionale per il Commercio Estero) is the Italian government agency entrusted with the promotion of trade, business opportunities and industrial cooperation between Italian and foreign companies. It supports the internationalisation of Italian firms and their consolidation in foreign markets and it operates through 100 branch offices in over 80 countries in the world. The Italian Trade Commission's activities are financed by public and private funds from the Ministry of Productive Activities, which establishes directives and has a supervisory role and companies, which use its services for advice, information and assistance. The main activities and services include: information, promotion, multilateral cooperation and training. The Macallan is one of the world's most awarded and admired whiskies. It remains the Single Malt against which all others are judged. The six pillars are the unique elements that combined make The Macallan so special. • The Spiritual Home. Built in 1700, Easter Elchies House, a Jacobean manor in Speyside Scotland, is The Macallan’s spiritual home. • Curiously Small Stills. The Macallan’s curiously small and uniquely shaped copper stills help to concentrate the flavour of the spirit. • The Finest Cut. The ‘cut’ is the amount of distilled spirit collected from the stills. The Macallan takes only the best of the best, typically just 16%, is selected to fill our casks. • Exceptional Oak Casks. Our unfaltering obsession with selecting exceptional oak casks brings an unsurpassed, timeless quality to The Macallan. • Natural Colour. At The Macallan, natural colour is something we insist on. It is the interaction of spirit and wood alone which delivers the rich variety of colour. • Peerless Spirit. The Macallan remains the Single Malt against which all others must be judged. In the finest hotels, bars and restaurants around the world, from New York to Shanghai, it is sought after and savoured by discerning whisky lovers who recognise it as the world’s most precious whisky. The Macallan Fine & Rare is an unrivalled collection of 38 vintage Macallans from 1926 to 1974. Launched in 2002, the vision for Fine & Rare was simple: identify the very best of the oldest maturing stock and launch the finest Macallan range. The Macallan Whisky Maker and his team assessed over 500 casks and their selection revealed an extraordinary diversity of colour, aroma and flavour. Today, for discerning whisky drinkers worldwide, The Macallan Fine & Rare collection represents a journey of discovery. Miele is a 106 year-old German brand that specializes in premium home appliances. Its revolutionary product range includes multi-functional ovens, steam ovens, hobs and hoods, dishwashers, coffee machines, refrigeration units, washing machines, tumble dryers and vacuums. To experience why Miele appliances are state of the art, please visit the Miele Showroom at 167 Penang Rd, #B1-01 Winsland House II. Once there, you will know why anything else is a compromise. Created for inventive and demanding hospitality and catering professionals, MIKASA Hotel & Restaurant offers an entire range of artful tableware products: Dinnerware, Glassware and cutlery. The broad line of products can easily be mixed and matched. Designed and tested by industry professionals, they are manufactured in quality materials with simplicity, refinement and modernity combined. Launched by the Arc International Group, world leader in tableware, Mikasa Hotel & Restaurant enjoys the technical expertise of renowned chefs and catering professionals, and manufactures using state-of-the-art technologies to guarantee seldom equalled mechanical and chemical resistance. Dr N K Yong joined the International Wine and Food Society (IWFS), Singapore in 1982, and was elected Chairman of the World Council of Management of the IWFS in October 1992, where he served for four years to October 1996. He is also currently the honourary secretary of Asian-Pacific Zone Committee (APZC). For his distinguished services to the IWFS, Dr Yong was awarded the André Simon Silver Medal of the Society in November 1989 and the André Simon Gold Medal in April 1998. He was conferred the award of Officier de l'Ordre du Merite Agricole by the French Government in December 1989. Dr Yong was admitted into the Confrerie des Chevaliers du Tastevin of Burgundy in 1988 and into the Commanderie du Bontemps de Medoc et des Graves in Bordeaux, as well as the Jurade de Saint-Emilion, Saint-Emilion in June 1989. For further recognition of his services to French wines, the President of the French Republic conferred on him the title of Officier de l'Orde National Du Mérite in 2004. Melina Teo-Yong is an amateur chef for whom cooking is both hobby and passion. In 1986 she won the Best Amateur Chef award in Hotel Meridien's Cuisineart Competition, ( three-star chef Louis Outhier was the presiding judge). She has been guest-chef in Puligny-Montrachet's Hotel Le Montrachet, in the Napa Valley Cakebread Cellars' Harvest Work-shop in 1991; at Château Cos D'Estournel in Bordeaux (April 1996) and Domaine Romanée-Conti in Burgundy (April 1999). In 1989 she was awarded the André Simon Silver Medal of the IWFS. She is a member of several wine fraternities — the International Wine & Food Society, London; Commanderie du Bontemps de Medoc et de Graves; La Jurade de Saint-Emilion, and the Confrere de Chevaliers du Tastevin. Established since 1785, Piper Heidsieck has certainly enjoyed a reputation of producing the finest and most exquisite champagnes in the world. In 2005 alone, their winning accolades include crowning 3 golds and 1 silver at the Decanter, UK; 3 silvers at the Mindus Vini, Germany; 1 silver at the Mondial de Bruxelles, Belgium. At Vinitaly, Italy, the Piper Heidsieck Champagne House not only pocketed a gold and silver award but was also bestowed the Premio Speciale. Piper Heidsieck received a bumper crop awards at the recent International Wine & Spirits Competition, where their Cuvee Sublime and Brut 1996 were awarded silver and gold respectively, where the Brut Divin was awarded gold and Best Non-Vintage Trophy and Brut 1998 was crowned gold and best in the show. The Champagne House was titled "French Wine Producer of the Year" at the International Wine Challenge, UK, where they were also awarded a gold and a silver. In 2004, Winemaker Regis Camus was bestowed the title of "Winemaker of the Year" at the International Sparkling Wine Challenge. This was the seventh time the house has received this esteemed award and is testimony to their outstanding quality and unparalleled reputation. Australian Fruit Juice (S) Pte Ltd (AFJ) was established since 1974, as a manufacturer and supplier of quality juice to meet the high requirements of the Airlines, Hotels, Bars, Restaurant, Cafes and Supermarket retail industries. AFJ is the sole owner of the brand name "RIPE" and through the past 30 years, have positioned themselves as the leading institutional supplier for quality fruit juices. Australian Fruit Juice currently has a distribution network of more than 1000 outlets. Their products are freshly squeezed juices, constituted fresh fruit juices, juice drinks, cocktail bar mixers, cordials and can concentrate. AFJ also provides printing and packing of mini-sachet sugar, crystal sugar & creamer as well as value-added services such as personalised juice labels. AFJ is an agent of 1883 DE PHILIBERT ROUTIN* Cocktail Syrup (Product of France), with a proven track record in distributing this product. Unilever Foodsolutions is one of the leading food companies in the world. Unilever Foodsolutions (previously known as Caterplan) is the dedicated foodservice operation of Unilever with global presence; offering branded and tailored solutions to a variety of independent and chain customers around the world. Our strengths come from deep customer knowledge both "global and local", culinary competence, technological expertise, efficient customer response and above all our dedicated team of people. The Unilever Foodsolutions umbrella is home to internationally savoured brands like Knorr, Hellmann's, Lipton, Bestfoods, Bertolli, Lady's Choice and Carte d'Or. In Asia Pacific region, Unilever Foodsolutions is present in Australia, China, Hong Kong, India, Indonesia, Malaysia, New Zealand, Pakistan, Philippines, Singapore, Sri Lanka, Taiwan, Thailand and Vietnam. Our vision is to become the "Best Solution Provider" for our customers. At Unilever Foodsolutions, we are committed to partnering with you to help you succeed in delighting your customers and grow your business by providing cost effective and innovative solutions to meet your needs. Check out our recipes or get in touch with one of our chefs via our website for fresh ideas or to see how we can help meet your needs. Knife-makers to the world, Wüsthof has been producing knives since 1814 from Solingen, Germany. Each Wüsthof knife is precision forged from a single piece of chrom-molybdenum steel, which is responsible for the stain-resistant properties. Wüsthof guarantees razor sharp knives with a long-lasting cutting edge, as well as ergonomic handles for comfortable use. Professional chefs and home cooking enthusiasts throughout the world look to Wüsthof for all of their cutlery needs. Throughout its family-owned history, Wüsthof has focused almost solely on the manufacturing of forged knives with over 150 styles to choose from among its collections: Classic, Culinar, Grand Prix II and Le Cordon Bleu. For uncompromising quality that is synonymous with form and function, look for the Wüsthof Trident logo.